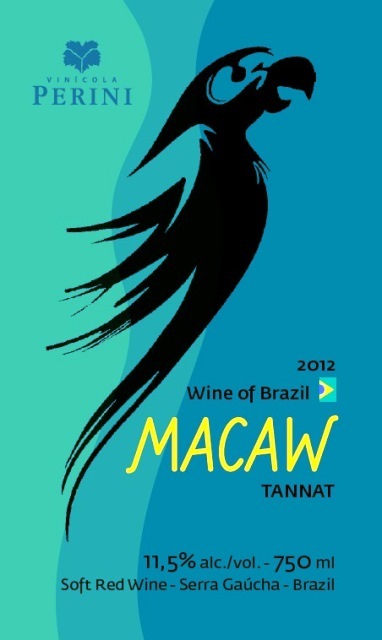 Macaw Tannat is a violet color with hints of ruby. 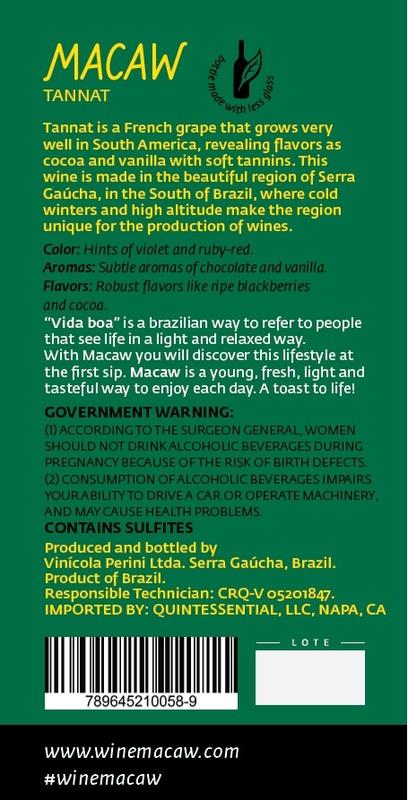 Subtle aromas of chocolate and vanilla lead to palate with intense flavors of blackberries and firm tannins. undergoes malolactic fermentation for one month. A portion of the wine is matured in 100% new Hungarian oak. The Y Espalier system allows free air circulation and higher sun exposure to the vine, giving the wine a high concentration of sugar and color. This wine is pairs well with red meats and ribs in addition to rich pastas and risottos.